TOPIC: There are three ways to win a point in tennis; winners, unforced errors and forced errors. You want to put your opponents in difficult situations and force them to miss. EFFECT ON GAME: If you and your partner can consistently put your opponents in difficult situations and force them to hit shots under duress, you will be effective against teams of all levels. TOPIC: Most doubles players and teams disrespect players who lob a lot in doubles. This is because they've never been taught how to beat the lobbers and always lose to them. They feel they're superior players and can't deal with losing to people who seem so unskilled. EFFECT ON GAME: By learning the Hunter and Helper positioning and shot selection in The Previdi System, players have a much better idea of how to beat the lobbers, a better chance to beat them and will gain confidence against them. It's never a good idea to underestimate or disrespect your opponents game, respect the lobbers...but beat them! TOPIC: A universal problem in adult, competitive tennis is playing against, and winning against lobbers. Using The Previdi System and learning your Hunter and Helper positioning and responsibilities will help you and your partner conquer these players. EFFECT ON GAME: Once you and your doubles partner understand that playing against lobbers requires a lot of discipline in your shot selection and positioning, you can relax and be effective against these teams. 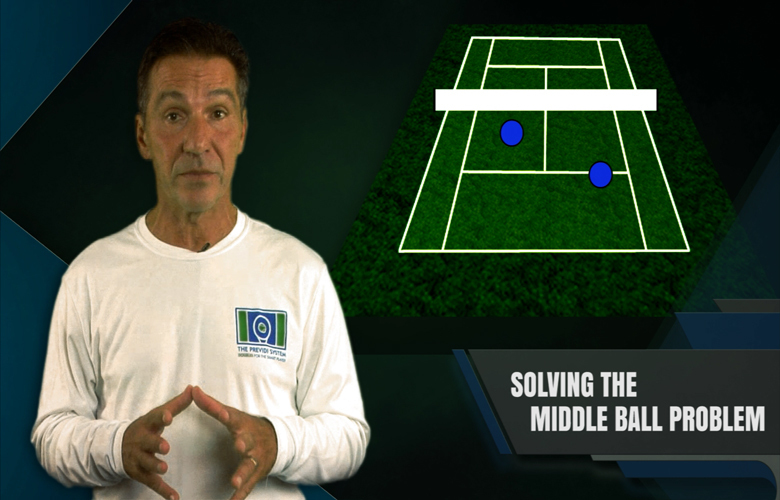 TOPIC: How to handle the down the middle ball in doubles when you and your partner are at the net is a problem at all levels if both players are equidistant from the net and will never be solved with that positioning. EFFECT ON GAME: In The Previdi System by learning the Hunter and Helper staggered positioning, one partner always has opportunity on middle balls and the other always has responsibility on those same balls. 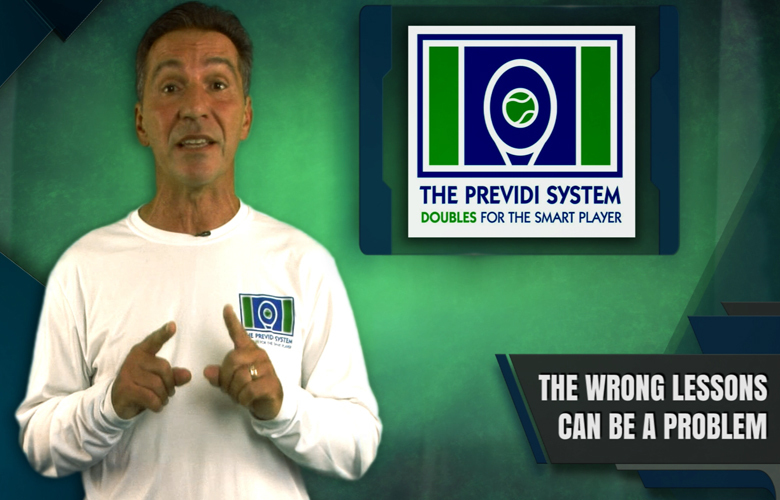 You can permanently solve your middle ball problems in no time by learning and mastering The Previdi System. 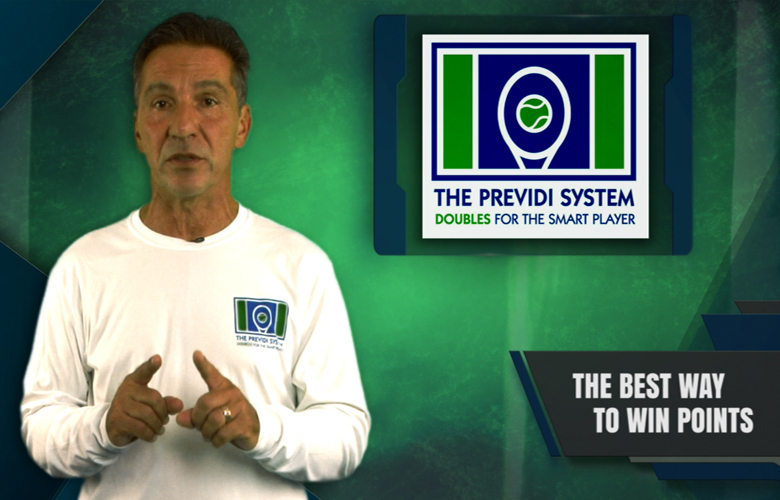 TOPIC: The two most important physical skills you can have in doubles are Accuracy and Consistency. 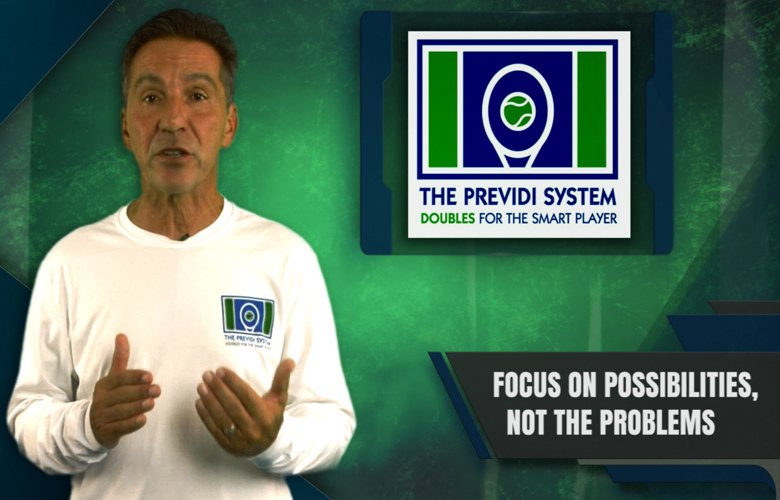 EFFECT ON GAME: In The Previdi System we work constantly on being consistent and accurate. If you have those skills in your game you will be very difficult to beat. The ability to make all of your shots and put them where you want will lead you to success against any team at any level. Think of all the players you've lost to who don't seem to have great strokes but never miss and always put it where you aren't. Those are the players you want to emulate. 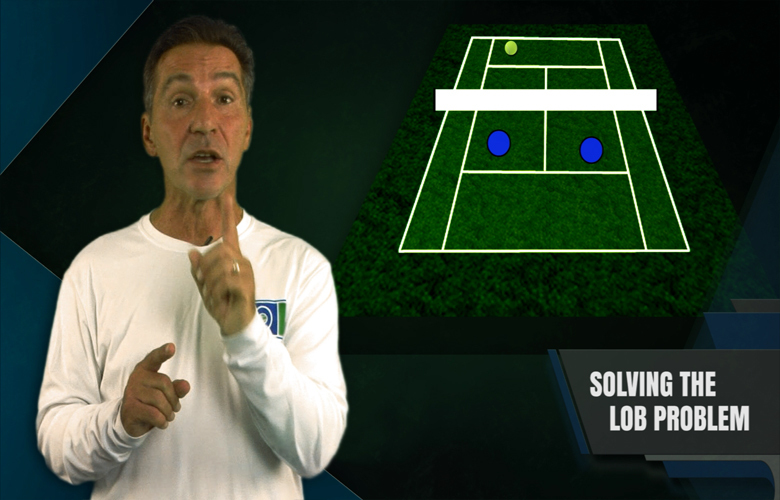 TOPIC: Most tennis lessons are too technique based and have no substantial effect on your results in your doubles matches. 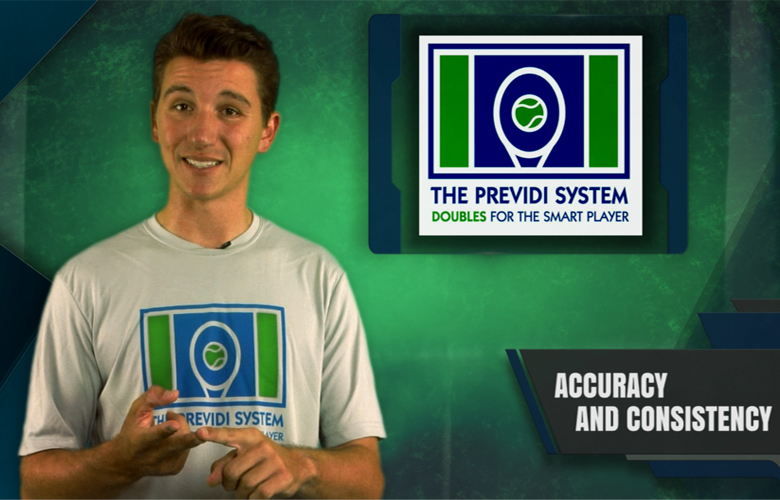 In The Previdi System, we teach you how to use your shots in specific situations or "plays." 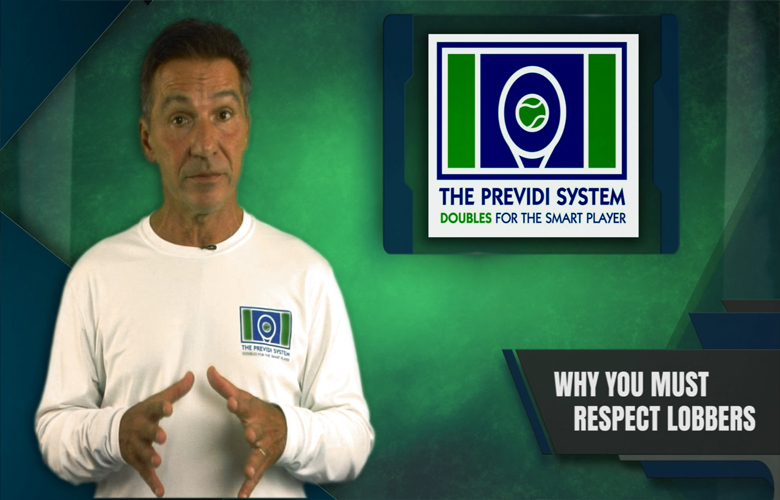 EFFECT ON GAME: The result of learning The Previdi System way is that you will see a direct correlation between the time you spend practicing ( clinics, lessons, practice matches), and your results in doubles matches. The shots you need in each situation improve through repetition of the drills and games and become instinctive in your matches. TOPIC: There are challenges we face in all points and in all matches. The way we approach these challenges will determine our success or failure when we play competitively. EFFECT ON GAME: In The Previdi System we teach our players to learn how to problem solve by practicing situations over and over so that we recognize how to get out of difficulty rather than focusing on the fact that we're in trouble. Only great players can consistently take a tough point and turn it around to win it. Once you've mastered this mental and physical skill by using the drills in The Previdi System everyone will want you for a partner and no one will want to play against you!